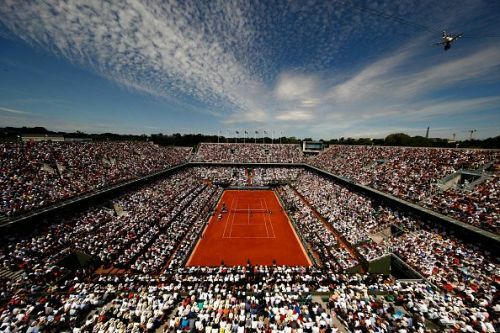 The French Open is the only Grand Slam played on clay and the slow surface coupled with seven rounds needed to win the Championship, makes it the most physically demanding tennis tournament in the world. The French Open was the Grand Slam to allow a level playing field for amateurs and professionals way back in 1968. Other Grand Slams followed later. The French Open differs from other Grand Slams by starting off the main draw on a Sunday unlike Monday as opted by the other 3 Grand Slams. The Gentlemen's Singles winner takes home a replica of the Coupe des Mousquetaires trophy. The greatest clay court player of all-time, Spaniard Rafael Nadal has over the years set the benchmark on the Parisian clay surface with his strong baseline strokeplay laced with heavy topspin. Nadal made his French Open debut in 2005 and became champion the same year beating Argentine Mariano Puerta in 4 sets. He would win 4 consecutive titles at Roland Garros from 2005-2008 before winning a record 5 consecutive titles between 2010-2014 inclusive. His record of 86 victories and just 2 losses in Roland Garros is unmatched by any other player in any of the 4 Grand Slams. 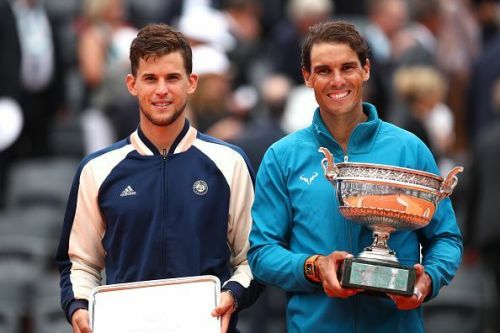 Nadal at 32 looks the firm favourite to lift the title yet again for a record-extending 12th time in 2019. Nadal won the first of his 11 French Open titles at the age of 19 years, 2 days.